HF: The New York Times of 9th July 1984 contained an article about a very ordinary, common, multi-occupant, multi-storey factory building in Aberdeen. The E.On. It is that very standard, simple, cheap design and construction and multiple tenants that makes it, and others like it worth recording. 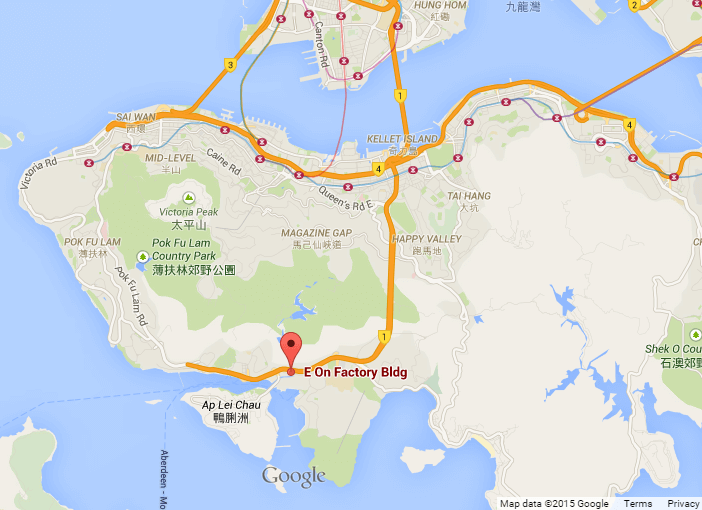 The industrial part of Aberdeen of which the E. On is at the centre, like many other such areas in Hong Kong is changing. Being redeveloped with residential and office buildings, hotels, shopping centres. Starbucks replacing Greasy Spoon cafes , home of the restorative half tea-half coffee yuenyeung. As is the nature of Hong Kong the new will themselves in turn have all disappeared in twenty or thirty years. 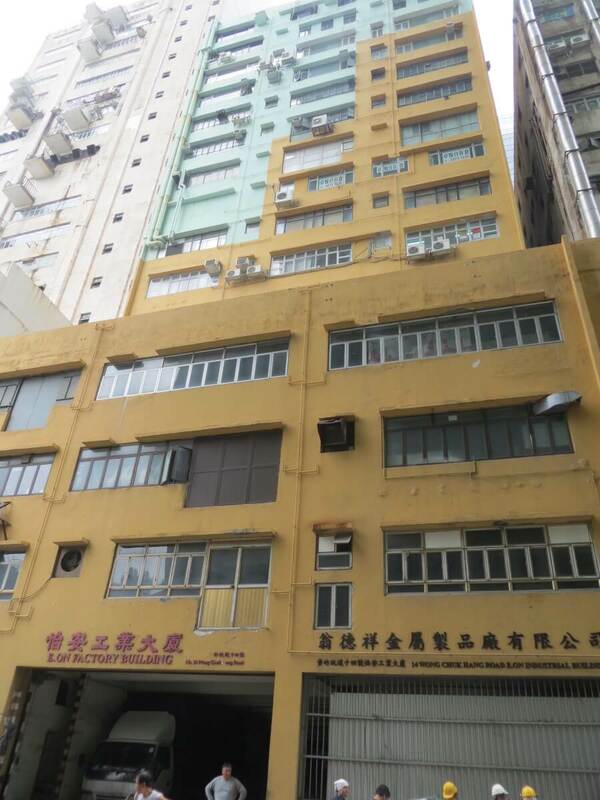 So let’s celebrate the possible final days of the E.On…14 Wong Chuk Hang Road. 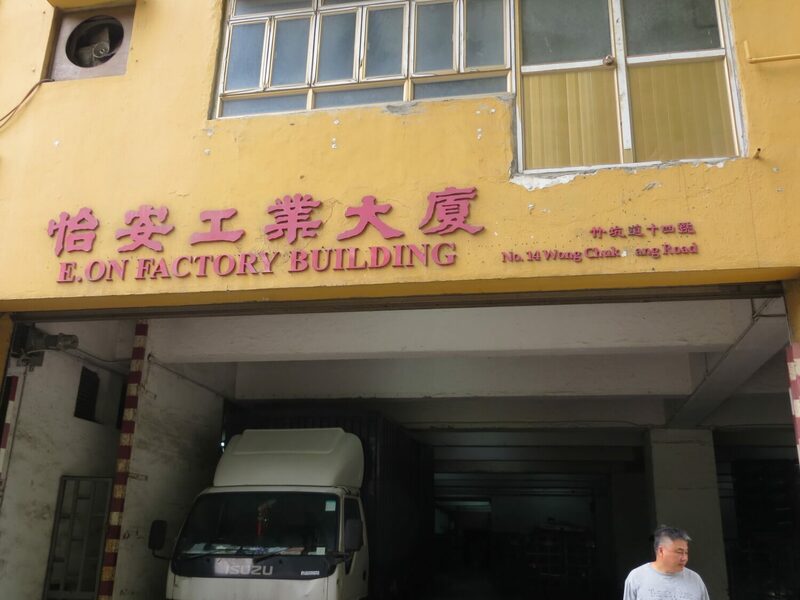 Bog standard HK factory of the 1970s and 80s. However, The NYT says: For employers, the ready supply of labor means low wages and long hours. For the workers, who earn about $10 a day, conditions are acceptable and the steady money provides at least a marginal living. 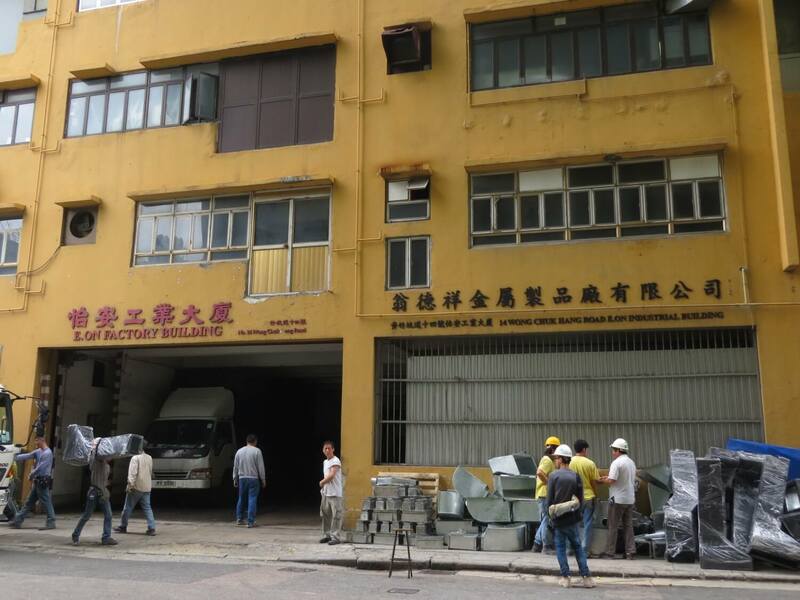 I am pretty sure the thousands of workers who have toiled away inside the 19 storey building since its construction in 1971 would concur with the first statement but not raise their cups of yuenyeung in celebration of the second. The NYT: “The E. On is one of many high-rise factory buildings in Aberdeen, Hong Kong’s largest and best-supplied factory center, perched on the southwest side of Hong Kong Island. The tenants of the E. On building have little in common other than their small size, unusual flexibility, and two huge cargo elevators that all must share. This article was first posted on 5th May 2015.